A timely play runs at the Lace Market Theatre this month with the comedy Dead Ringer by Charles Ross, set in 10 Downing Street during the 1980s. On the eve of the general election, the charismatic Prime Minister dies of an apparent heart attack. His cabinet colleagues, fearful of losing votes, hatch an ingenious plot to hide his death until after they have won the election. Enter an out of work actor, a â€˜dead ringerâ€™ for the PM. Inevitably, the whole thing gets out of hand and the Head of MI5 is called in to clear things up. 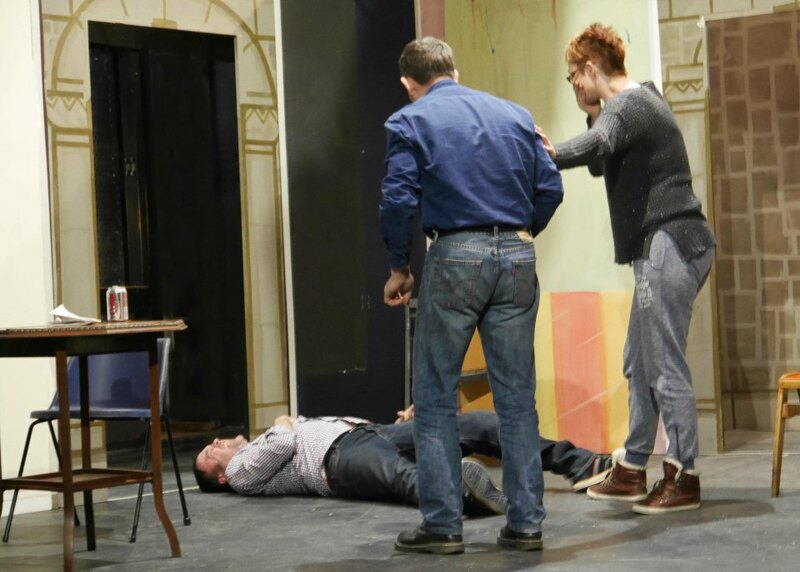 "Dead Ringer is a hilarious play which unexpectedly turns into a tense thriller â€“ but still with tongue in cheek," says director Marcus Wakely. "Thereâ€™s a lot of jostling for position and political infighting. Thereâ€™s no love lost between them as the politicians have scores to settle. â€˜No such things as friends in politicsâ€™, says the Prime Minister. "We hope it will be a great antidote to all the party politics weâ€™ve been subjected to over the past few months." Dead Ringer was first performed in 1983 at the Thorndike Theatre, Leatherhead and subsequently presented at the Duke of Yorkâ€™s Theatre in London by Bill Kenwright, together with the author Charles Ross. It had a successful run and great reviews. "We confidently expect it to have another successful run here in Nottingham at the Lace Market Theatre," says Marcus.